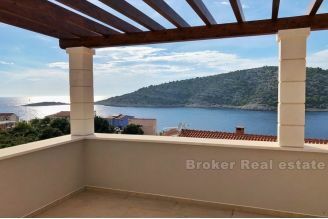 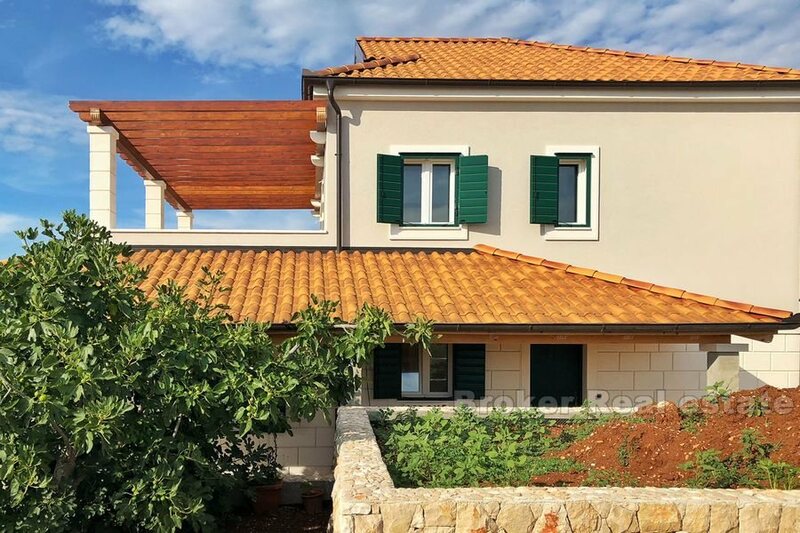 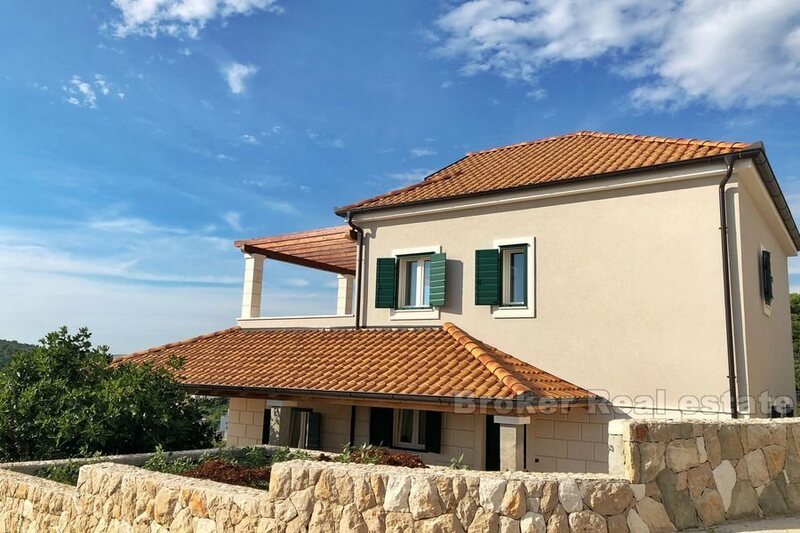 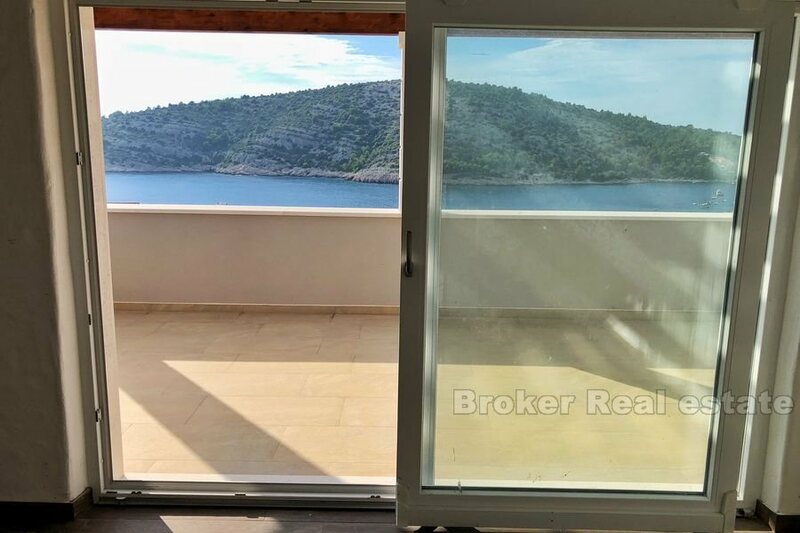 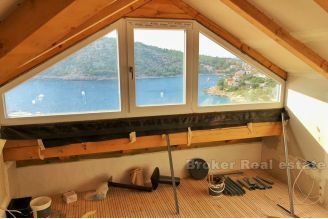 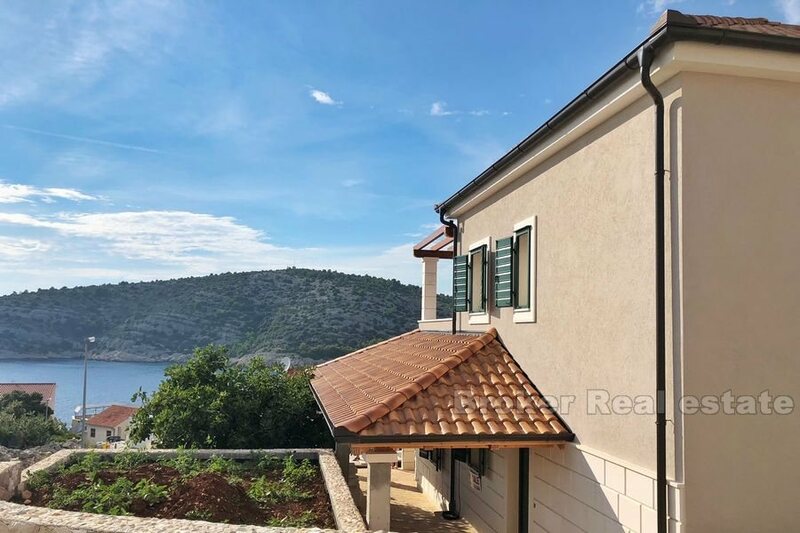 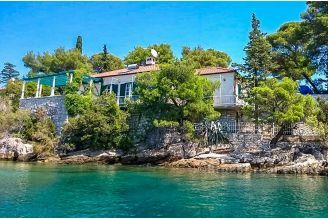 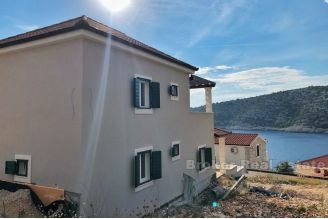 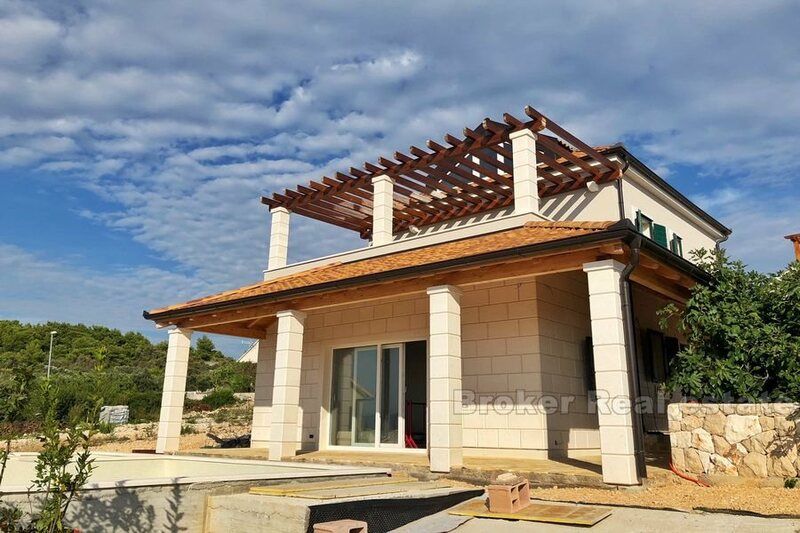 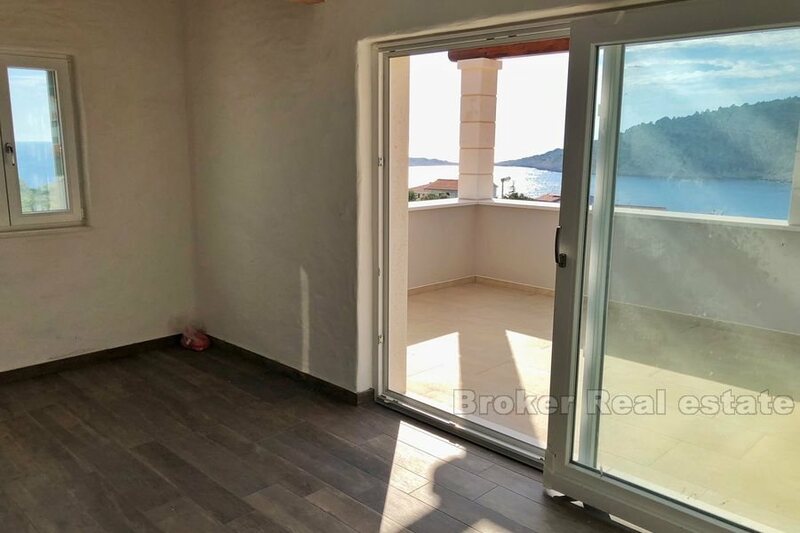 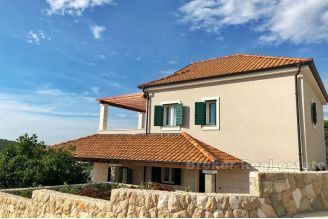 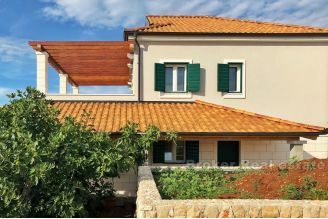 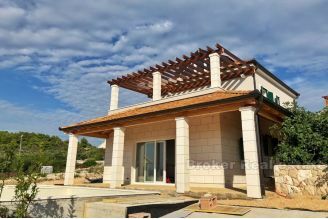 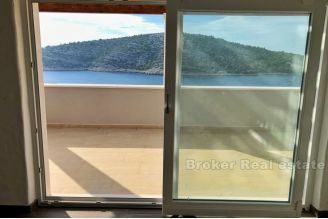 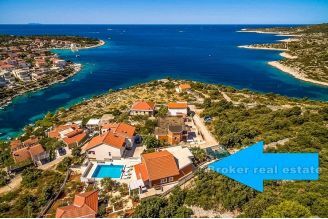 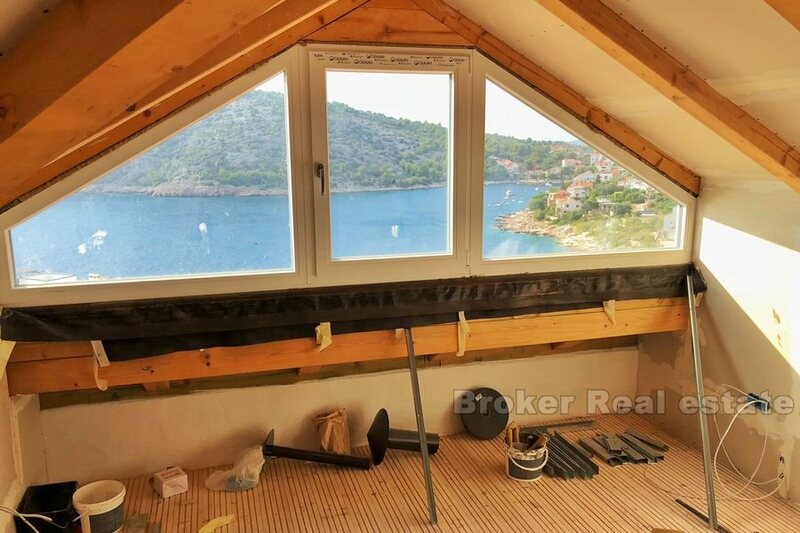 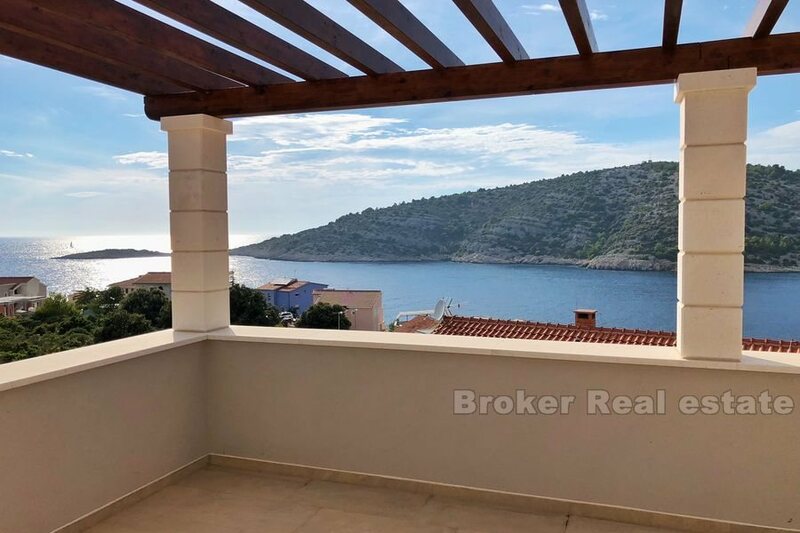 Villa with a nice sea view with 170 sqm living space in total with a covered terrace on the ground floor and uncovered terrace on the floor. There are 4 bedrooms, 3 bathrooms, 1 toilet, living room, dining room, kitchen with storage, technical room (there is a central boiler and washing machine). 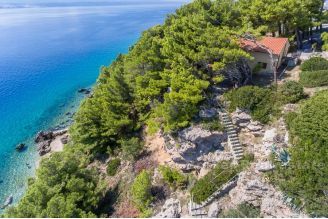 An internal staircase in steel with wooden treads, with 8 cm width thermal insulation of external walls, multi-chamber PVC windows, wooden front doors and shutters, toilets Hansgrohe Axor Montreux, 4 indoor air conditioning units, decorated courtyard with 35 m2 swimming pool and sun deck, water tank for rainwater from the roof (for watering garden).